If you’ve been researching garage flooring options, you may have done some local comparison shopping at Home Depot and other home improvement stores. A recent announcement about the discontinuation of a harmful chemical in some of Home Depot’s vinyl flooring products could have you wondering about other garage floor coating options. In April 2015, Home Depot announced its intent to phase out the use of DEHP, a form of ortho-phthalate used in some of the company’s vinyl products, by the end of the year. This chemical has been linked to liver tumors in animals. Ortho-phthalates in general are also linked with reproductive and developmental issues in humans, male babies in particular, though the effect of DEHP on humans is unclear. Ortho-phthalates are plasticizers added to vinyl to make it more flexible. While Home Depot states only 15% of its products currently use plasticizers, consumer advocacy groups tested 65 different vinyl flooring products currently available and found that nearly three out of five products contained ortho-phthalates. With safer alternatives available, there’s no need to use chemicals that could potentially harm humans and animals exposed to it. 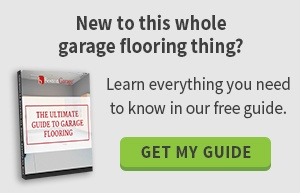 Why risk it when there are other garage flooring options available? Boston Garage uses epoxy, not vinyl, for our garage flooring solutions. We have never used any form of ortho-phthalates in our garage flooring options because epoxy floor coatings don’t need plasticizers. They are comprised of resinous polymer formulations of epoxy and polyaspartic, which grants them the cost effective and durable benefits of epoxy combined with the fast curing time of polyaspartic. 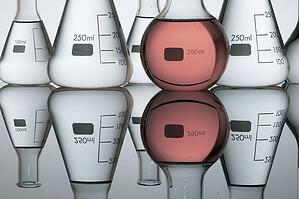 Epoxy is also very low in volatile organic compounds, or VOCs. These chemicals pollute the air and can cause health issues such as headache, dizziness, fatigue and nausea. Thousands of solid and liquid materials in your home could be sources of VOCs, including paint, glue, textiles, particle board, cleaning materials, air fresheners, candles and hobby products. When you choose epoxy floor coating from Boston Garage, you can rest assured you’re choosing a “green” garage flooring that won’t do damage to the environment or pollute the air in your garage. These are important considerations when deciding which garage floor coating to install. If you’re excited about the chance to revitalize your garage floor without endangering your family members or pets, epoxy is definitely right for you. Please schedule a free on-site design consultation with Boston Garage to learn more about our garage floor coating options. We’re Boston’s leader in garage flooring and storage cabinets.